Director, Jordan Nance, is a dreamer and he definitely doesn’t know the word impossible. Born with spastic quadriplegic cerebral palsy caused by complications of a premature birth in October 1983, he has faced a multitude of health challenges throughout his life. 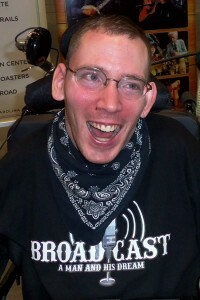 Using a computer to communicate and a wheelchair for mobility, Jordan’s determination and persistence has allowed him to overcome many of the limitations that others would view as handicaps. With the support of his family and friends Jordan has proven that dreams really do come true. He has a can-do spirit that is absolutely contagious and his smile invites you in to discover the plans he is making in his very active mind. From an early age Jordan showed a love for music and history as well as for the intricacies of electronics. Television and radio became his passion. This fascination prompted numerous trips to television stations to learn more about the behind-the-scenes process. A chance letter to Fred Rogers in 1996 began a special friendship that culminated with visits to the set of “Mister Rogers Neighborhood” in 1997 and again in 2000. Jordan’s interest in the program and its history prompted him to watch many of the episodes as well as interview Fred about his work. 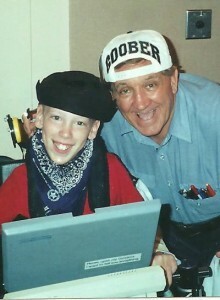 When Fred casually suggested that his young friend should write a book, Jordan took that opportunity to develop a questionnaire for the cast, crew, and guests of the program. 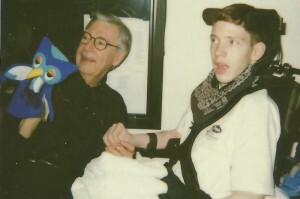 After four years of intense research and correspondence, Jordan completed a pictorial overview of the life of Fred Rogers and history of “Mister Rogers Neighborhood”. His only disappointment was that Fred died before the project was completed. In the fall of 1992 his love of “The Andy Griffith Show” took Jordan to Mount Airy, North Carolina for Mayberry Days. It was there that for the first time he heard bluegrass and old time music on a stage provided by WPAQ radio, 740AM. Returning to the same event the following year, Jordan was able to see firsthand the radio equipment used in a remote broadcast. He soon became a faithful listener to WPAQ from his Reidsville, North Carolina home. In 1995 he visited the station for the first time and met founder and owner, Ralph Epperson. The two kindred spirits became fast friends. 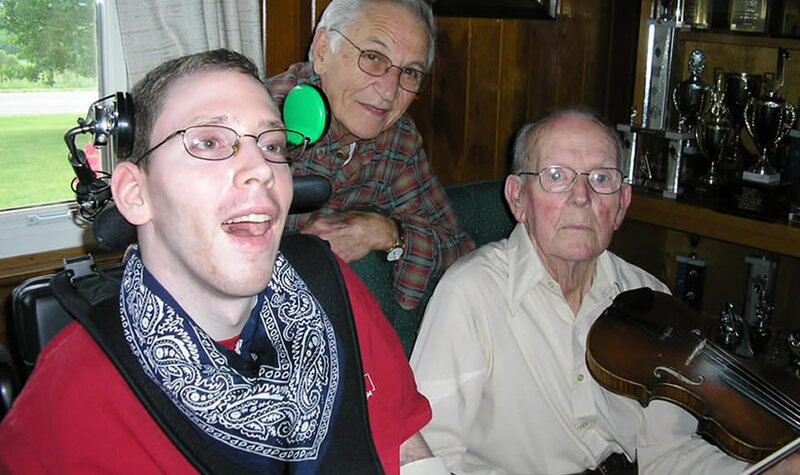 Over the years Jordan’s interest in the music and musicians of the Blue Ridge Mountains grew as he connected with the history of the station through the stories and songs that Ralph shared over the airwaves. This interest drove Jordan to interview Ralph. As fate would have it the interview was just six weeks before Ralph’s death in 2006. The loss of his dear friend only deepened Jordan’s desire to document on film other stories about the early years of WPAQ. For the next five years Jordan researched and interviewed some forty people who were involved in the station from its beginning in 1948 through the mid 1950s. With the help of Beth Crookham whom he had met on the set of “One Tree Hill” several years earlier, Jordan began the process of turning the footage into the film he desired. 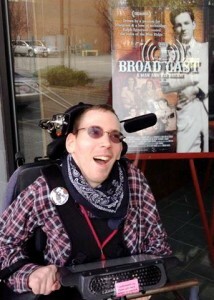 After nearly two years of post-production work, his vision and perseverance were realized in his documentary, “Broadcast: A Man and His Dream”. Jordan is someone who embodies the spirit of dreamers everywhere. It is his hope that his work and this website will inspire others to follow their dreams, not to be bound by difficulties and obstacles, but to live fully and richly the lives we have been given.